Rollercoasters, great arenâ? ?t they? They may be something of a marmite pleasure, but if you love them dearly youâ? ?re always on the lookout for your next adrenaline â??fixâ??. Whether itâ? ?s at Alton Towers, Thorpe Park or Universal Studios, there are rollercoasters in pretty much every country in the world â?? and some are quite serious. Take the â? 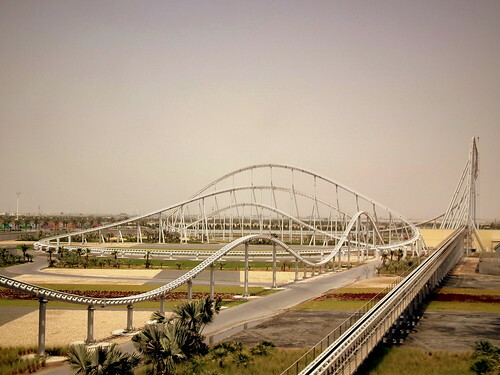 ?fastest rollercoaster in the worldâ?? in Abu Dhabi, for instance. The Formula Rossa at Ferrari World is by far and away the fastest â? ?coaster on the planet with a top speed of 149mph. It gets to 62mph in just 2 seconds and riders experience around 1.7 G. In reality, the best bit of the Rossa is the start, because itâ? ?s just so damn fast. You feel those G-forces smack you in the face as the â? ?coaster accelerates, but what is a G-force? Why does this invisible force make you feel like that on a rollercoaster? The force measured on a rollercoaster is called a G-force. Itâ? ?s not specifically just for rollercoasters, but you experience quite a lot of high G when riding the things, so thatâ? ?s why people love them so much. Have you noticed how â??heavyâ?? you can feel on a rollercoaster? Basically, a G-force is just the measurement of acceleration forces. 2 G, for instance, is double the gravity you would experience in normal life. Itâ? ?s a measurement of how the force is applied upon your body. F1 drivers experience around 5G when braking into some high-down-force braking areas, which puts an unbelievable strain on their head and neck â?? thatâ? ?s why they have to do muscle-building exercises for their upper body. Just look at jet-fighter pilots. The G-forces they experience are so severe that they have to wear G-suits which keep all the blood in the pilotâ? ?s body where it should be. 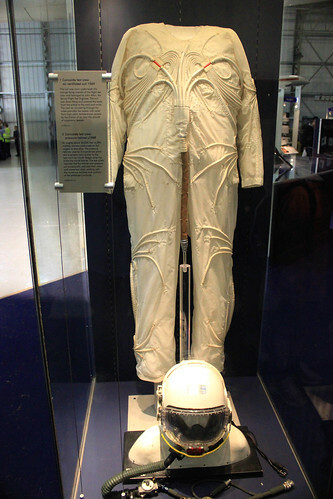 Without the G-suit, the pilots would pass out and crash. Thatâ? ?s just how strong G-forces can be. Rollercoasters work in the same way â?? albeit with less force. A â? ?coaster will utilise G-forces to make you feel weightless and as if youâ? ?re travelling far quicker than you actually are. Most fast rollercoasters travel at around 90mph â?? which, when you think about it, isnâ? ?t actually that fast. Itâ? ?s just the forces at play which make you feel like youâ? ?re going to die. When you feel like youâ? ?re being pushed into your seat, youâ? ?re not; itâ? ?s just your bodyâ? ?s inertia at play, fooling you into thinking as such.Â The forces are, in fact, pushing your seat forward â?? not you into the seat â?? but your bodyâ? ?s inertia swaps the forces about which gives you a sensation of being pushed into your seat. Rollercoasters, naturally, have to keep within certain G-force parameters, otherwise you would end up passing out like a jet-pilot, but itâ? ?s good to know they can still push your body to the limit without killing you. Loop-the-loops, corkscrews and drops all add to the sensation of G-force and, in truth, theyâ? ?re the reason why rollercoasters are so popular (and why they donâ? ?t keep getting faster). Dopamine is released when our body goes through serious adrenaline kicks, which allows us to get that â??feel-goodâ?? factor after such an experience. For those you enjoy rollercoasters, dopamine is produced in abundance, but itâ? ?s actually the opposite for people who hate the things. Click here to find out about a roller coaster designed to kill . . .